Michelle was born in California and raised in Kansas and Wisconsin. She is the youngest of five children, having three sisters and one brother. Kent was born in Ohio and raised in Las Cruces, New Mexico. He is the younger of two children, having one brother. Kent and Michelle were married on August 20, 1988. They have three children: Daniel Bradley, born July 15, 1992; Stefanie Elaine, born March 1, 1994; and Alicia Marlynne, born October 3, 1997. Michelle trusted Christ as her Savior at the age of five in 1973 after hearing a Sunday school lesson on Jesus' death, burial and resurrection. Although Kent was raised in a Christian home it wasn't until age nine that he put his trust in Christ, since then there has never been a doubt regarding his eternal home. Michelle graduated from Washington Bible College in 1988 with a Certificate in Biblical Studies. After their marriage, she worked as a secretary in an insurance office, then as secretary at their home church. Kent also graduated from Washington Bible College in 1988 with a B.A. in the Bible and missions. Later, before beginning deputation, both Kent and Michelle attended the Summer Institute of Linguistics in Dallas, Texas. In December of 2006 Kent graduated from Southwestern Baptist Theological Seminary with a Masters in Missiology. Past: While attending their home church in Lanham, Maryland, Michelle taught a Sunday school class of first graders and was a leader in the AWANA program. While in college Kent helped out in - and eventually ended up in charge of - a large primary junior church program, did nursing home ministry and participated in short-term summer mission trip to Papua New Guinea in 1987 with PIONEERS. After graduation he was a counselor at a small summer day camp that he was eventually put in charge of. Since 1994, Kent and Michelle have served among the Ningerum people of Papua New Guinea, with the goal of training men to take up leadership positions in their local churches. In 1999 the Ok Ao Bible School opened its doors and in 2001, six men graduated from the two year program. Kent was the teacher of the Bible School and Michelle home schooled their children. In 2004 the work among the Ningerum people came to a close and in April of 2005 Kent was asked by Christian Leaders Training College located near Mt. Hagen in Papua New Guinea to obtain his Master’s degree with a view to serving as a long term faculty member. He graduated in December of 2006. 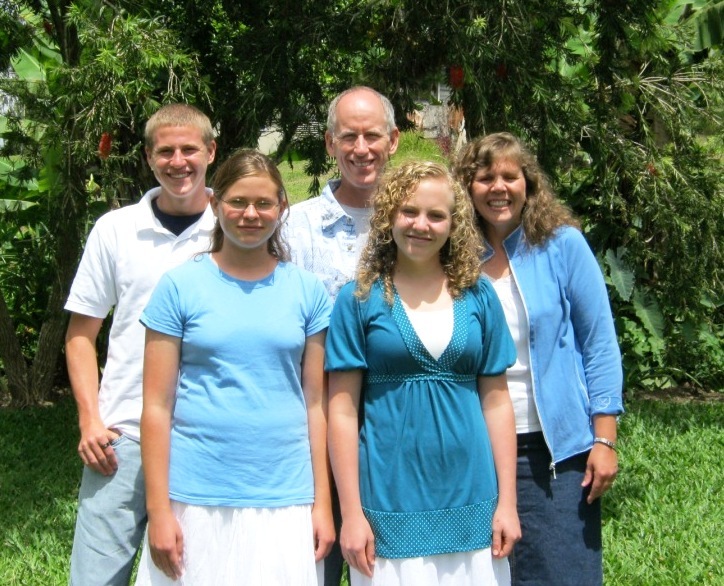 Kent & Michelle returned to Papua New Guinea in 2008 and enjoyed a fruitful ministry teaching God's Word to the people of Papua New Guinea. Future: In 2013 we accepted an invitation from SIL (Summer Institute of Linguistics, otherwise known as Wycliffe Bible Translators) to come and assist them in the expansion of their training program. Thier goal is to provide Papua New Guineans with quallity teaching so that they may be equiped to translate the scriptures into their own language. This includes basic and advanced Bible training, theological training, and instruction in Greek and Hebrew.